Ok, if you’ve been watching me for any length of time you know how I feel about outsourcing to the Philippines. I believe it’s perhaps one of the biggest opportunities for small business to gain a competitive advantage. Unlike many who just talk about it, I put my time and money where my mouth is. 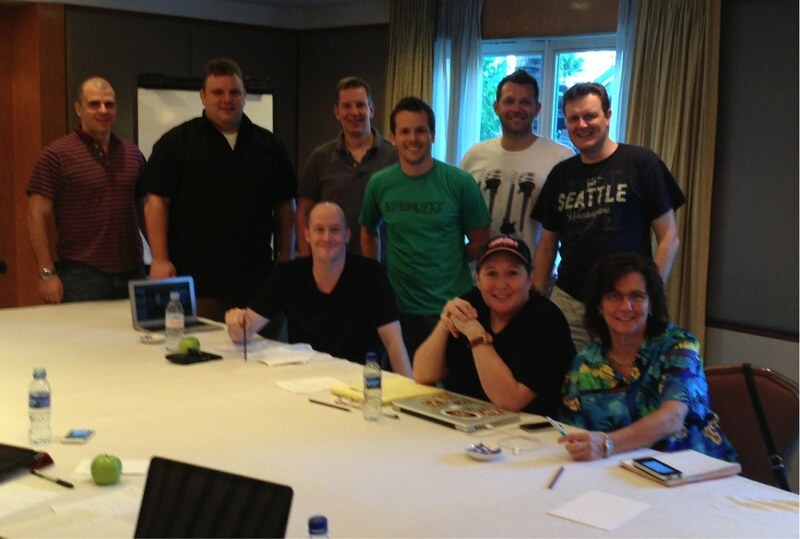 Recently I took a group of colleagues, clients and students to the Philippines to meet their teams. Having done it earlier in the year I recognised how critical it is for anyone with a team overseas to go visit them. Anyway, in the lead up to the trip a friend of mine introduced me to a few cool people in the Philippines – people on the ground, eating, breathing and living this stuff. A couple of the guys were Justin and Joe from the Adsense Flippers. After a little digging, I started to learn more about these guys and realised not only are they the “real deal” but they’re nice guys too. So, before heading over there I thought I should get them on the phone, and ask a few questions about the Philippines and BPO (Business Process Outsourcing). I actually had this audio sitting on my computer for the longest time (sorry about that guys) but you’ll be happy to know it’s ready to go now! Ready to find out the real truth about outsourcing to the Philippines? Click here to download our MP3 interview. Ps. Have you started building your outsourcing team yet? You might be interested to know we’re running an Outsourcing workshop in Melbourne, Australia on the 12th of February. You should come – stay tuned for details. Catching up with Joe, Justin and a few other friends in Manila. Ok got the heads up from Joe, the audio’s a bit low on their end… I’ll pass this onto Adrian and see if I can get that fixed. What happened to the audio? I followed the link but get nothing. I live in the Philippines and it’s refreshing to know that there are people who consider this corner of Asia paradise, for business or leisure. The best take away I got from this interview is that you need to learn how to adapt to whatever big changes may come your way. I guess that’s the secret of successful companies and individuals. Not only are they highly flexible, but also resilient. Thanks for the comment, MJ! I agree that staying flexible is key. It’s important to have a very flexible, quick-learning team of people that can make adjustments/improvements on the fly. We’re very proud of the team we’ve built here in Davao and much of our success is due to their extraordinary efforts. I couldn’t agree with you more, Filipinos are really great especially when it comes to VA jobs. I recently hired 2 VAs from Staff(dot)com and I’m very satisfied with their service. I was actually aiming to hire full time employees and good thing my friend endorsed Staff(dot)com to me. At first I was doubting if I’ll sign up an account with them but I was impressed with the line up of VAs they have, so without hesitations I bid a job there and got excellent VAs after doing a few interviews with their staff.